Swarovski Crystal Cufflinks. 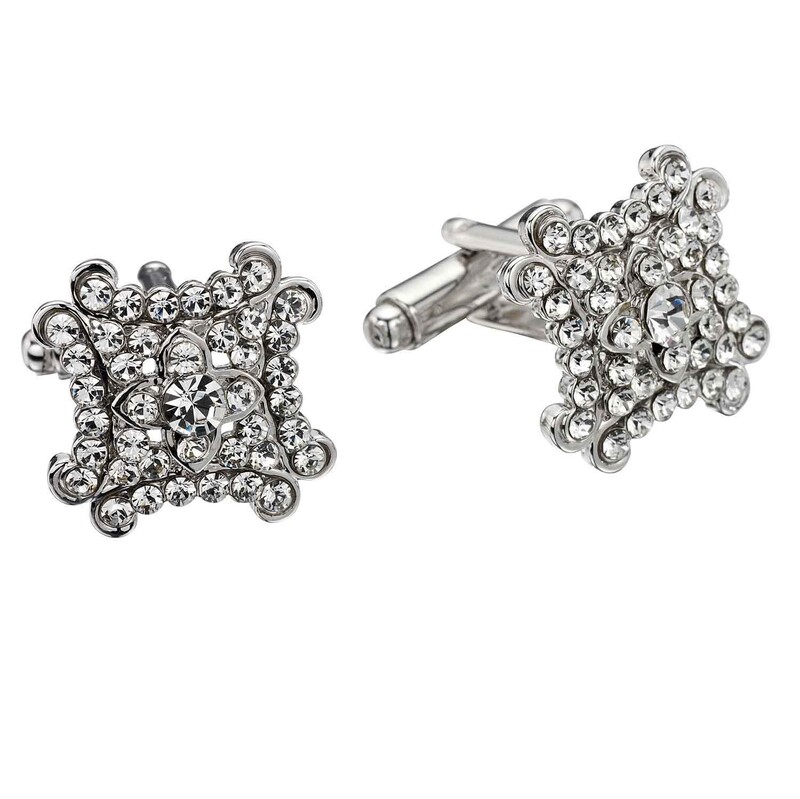 17mm Square Cufflinks made with White Diamond Swarovski Crystals. The crystals rectangle cuff end is 17mm x 17mm and sits 4mm proud. Swarovski Crystal Cufflinks. 17mm by 17mm Square Cufflinks made with White Diamond Swarovski Crystals. The crystals rectangle cuff end is 18mm x 8mm and sits 4mm proud.